The EMX3 introduces a new generation in soft start technology: XLR-8, Adaptive Acceleration Control. XLR-8 offers an unprecedented level of control over motor’s acceleration and deceleration profiles. Using XLR-8, the soft starter learns the motor’s performance during start and stop, then adjusts control to optimise performance. The EMX3 soft starter is smart, dependable and easy to use. New design features make the EMX3 the perfect solution for quick set-up or more customised control. While soft starters are becoming increasingly feature-rich, AuCom has taken steps to ensure that commissioning, operation and fault finding are still quick and easy. Quick setup mode gets machinery running in next to no time, and informative screens give real-time feedback on motor performance. EMX3 starters are amongst the smallest in their class, saving installation costs by minimising panel space requirements. The design of the EMX3 allows for multiple units to be mounted side by side, or in a bank of starters due to the flexibility in cabling options. Internally bypassed starters further reduce the overall size of your installation. 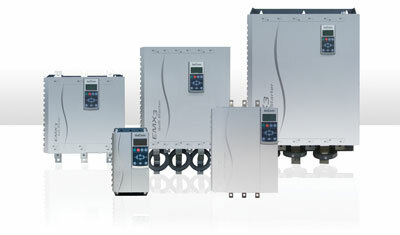 The EMX3 soft starter has been designed for maximum flexibility in a wide range of applications. Whether you need to integrate into a network or respond to external signalling equipment, need reliable protection for your motor or just need a compact, versatile and cost-effective motor starting solution, the EMX3 offers the features you need in a product you can trust.